I am absolutely obsessed with my 7th grade math warm-ups! These warm-ups provide a daily routine for your students, and help keep students on task in the beginning of class. 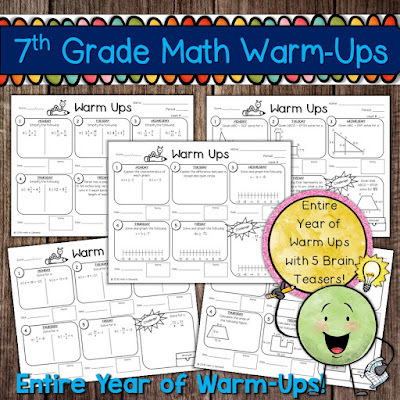 This resource includes 40 pages of warm-ups and a blank template. These warmups will last for the entire year since there are roughly 37 weeks in a school year. 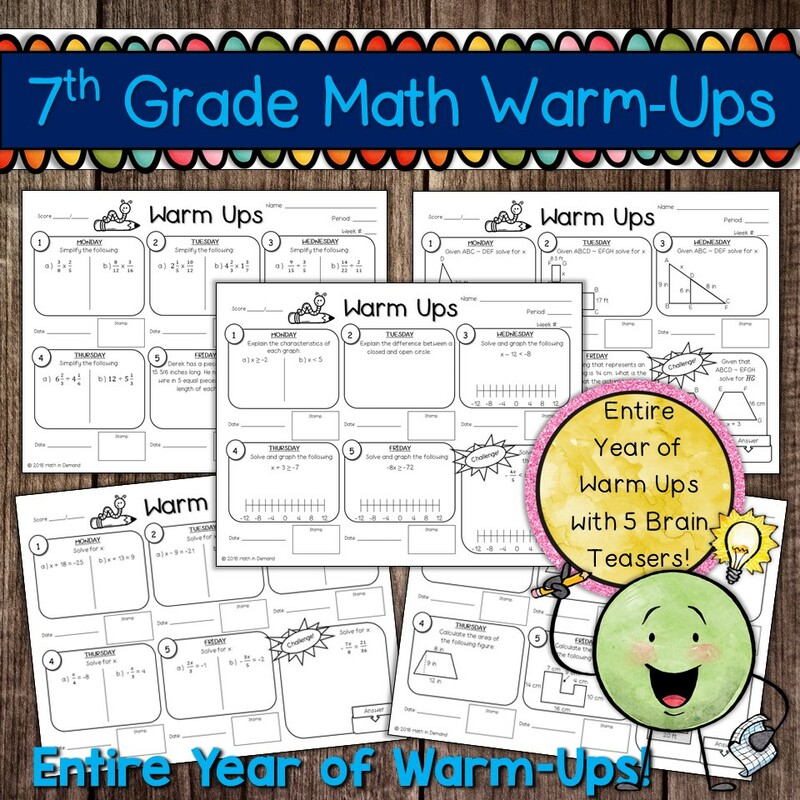 Five of the 40 warm-ups include math brain teasers. Also, I have provided two options for the warm-ups. One option includes a place for a stamp. The other option is a regular warm-up with no stamp. You can purchase my warm-ups by CLICKING HERE.